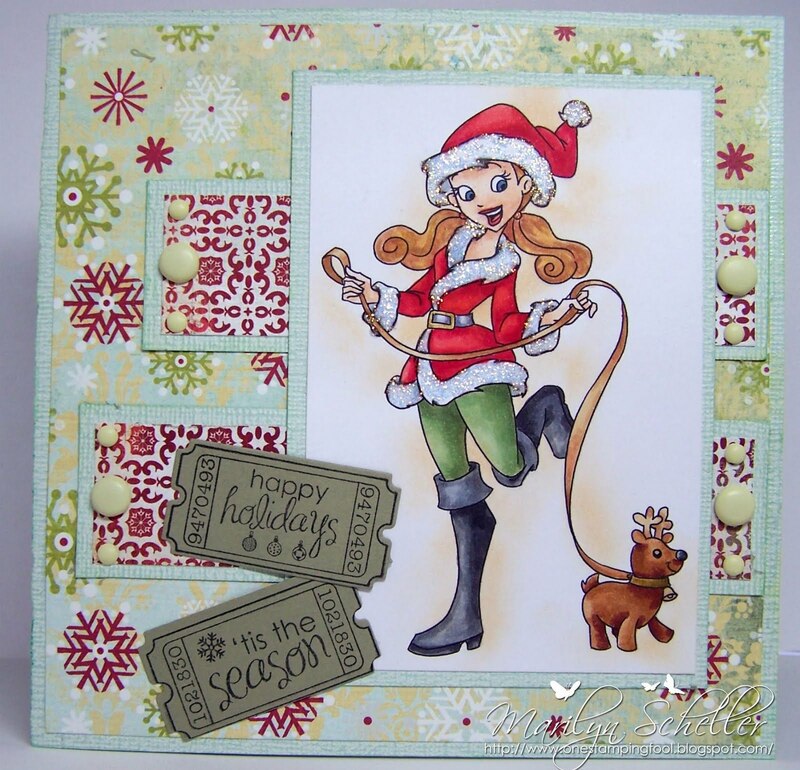 Marilyn here to tell you about Bec releasing some new Christmas digis August 15 and here's a preview of Holly with Reindeer from the collection. 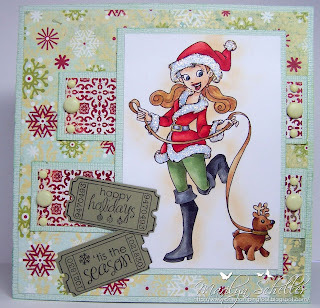 The ticket sentiments are from Whimsy stamps are available at the store now. Aaaaw - she's CUTE - love the "puppydeer"
LOVE the Christmas digis, will be looking forward to them!